Prolific theater director Desdemona Chiang’s new show, ‘The World of Extreme Happiness’ — a coproduction of Seattle Public Theater and SIS Productions — opens Oct. 13. 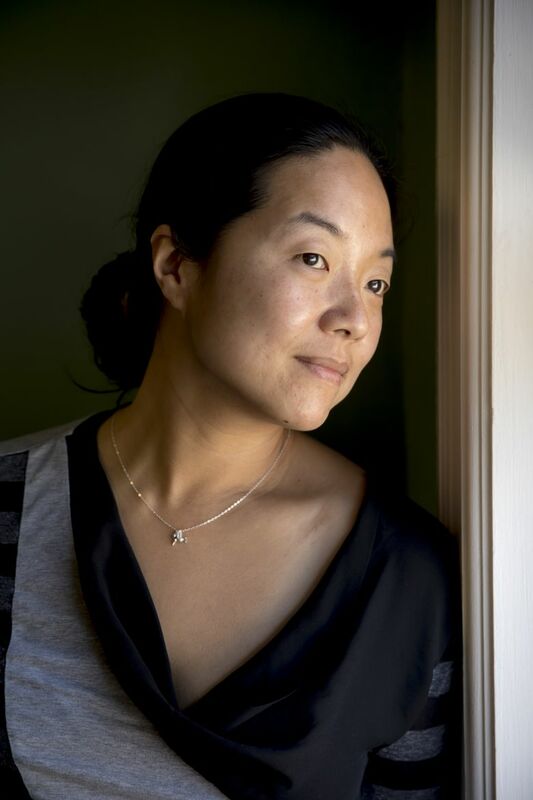 Desdemona Chiang can’t see into the future, but that’s not going to stop her from trying. The prolific director, 37, who has a new show opening at Seattle Public Theater (SPT) this week, is hesitant to ascribe too much responsibility for social change to the theater. But can it provoke transformation? Sure, but sometimes it requires a measure of clairvoyance. Or maybe more accurately: It requires the ability to know what you don’t know yet. “What is the thing that we’re not talking about?” she wonders. “What is the thing that we think we’re talking about, but we’re not talking about, or no one’s ever bothered to think about? 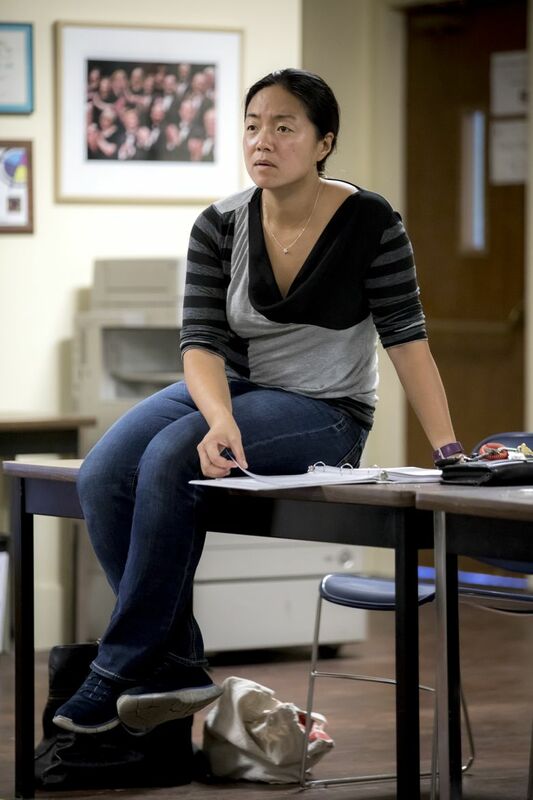 Since graduating from the University of Washington’s MFA in directing program in 2009, Chiang has steadily built a portfolio that stretches from coast to coast, working frequently here, but also in the Bay Area and Chapel Hill, North Carolina, and last year, at the prestigious Oregon Shakespeare Festival in Ashland. 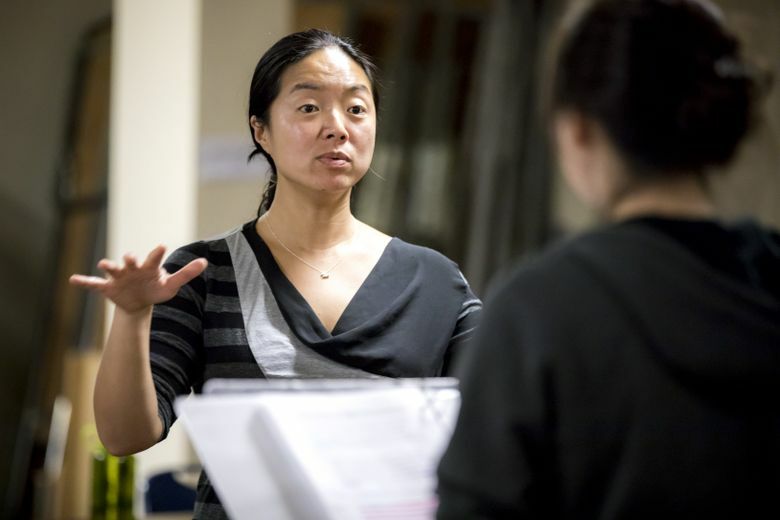 After working as a dramaturgical intern for the festival and assisting Artistic Director Bill Rauch on a production of “King Lear” in 2013, Chiang was tapped to direct “The Winter’s Tale,” which she set in dynastic China. Scan her résumé, and no clear wheelhouse emerges. There are contemporary works and classics. Bleak drama, heart-tugging romance and stinging satire all make an appearance. “I think it’s important to do things that I think I hate,” she says. Her eyes twinkle, but she’s not joking. Chiang’s theatrical curiosity is as restless as the physical location of where she works, but she’s a full-time Seattle resident now, with credits at many of the major houses to match. A 2015 production of “Measure for Measure” at Seattle Shakespeare Company embraced the show’s tangle of contradictory tones, while last year’s “Constellations” at Seattle Rep demonstrated her facility for the delicacy of a two-person, one-act show. At ACT, she helmed the just-closed “King of the Yees,” and at SPT, she’ll take on “The World of Extreme Happiness,” a play that examines the inhumanities of factory work in China. It’s a piece she knows well, having worked on a 2013 developmental production in San Francisco with playwright Frances Ya-Chu Cowhig. The play is set in modern-day China, where consumerism plays a major role in the plight of the working class. It both confirms and undercuts notions of a “big, bad China,” she says. After all, would those factory jobs run workers into the ground if there wasn’t insatiable thirst — from America and other countries — for the newest technology? 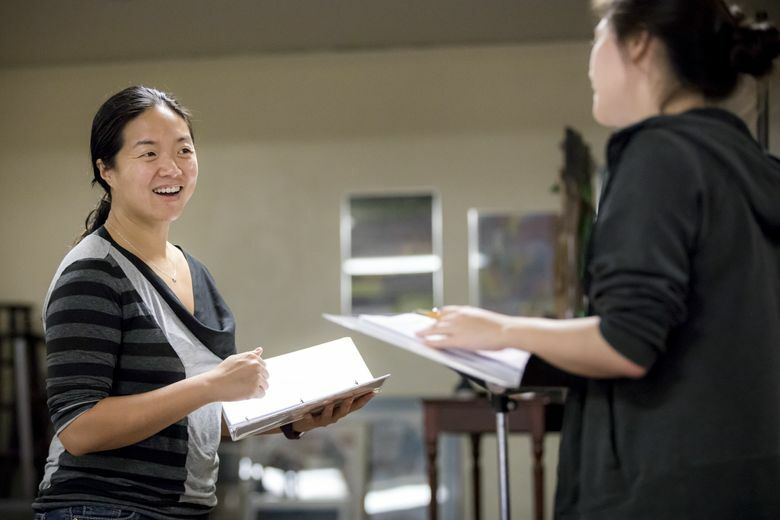 SPT is presenting the play with SIS Productions, whose mission is to create opportunities for female Asian-American artists. 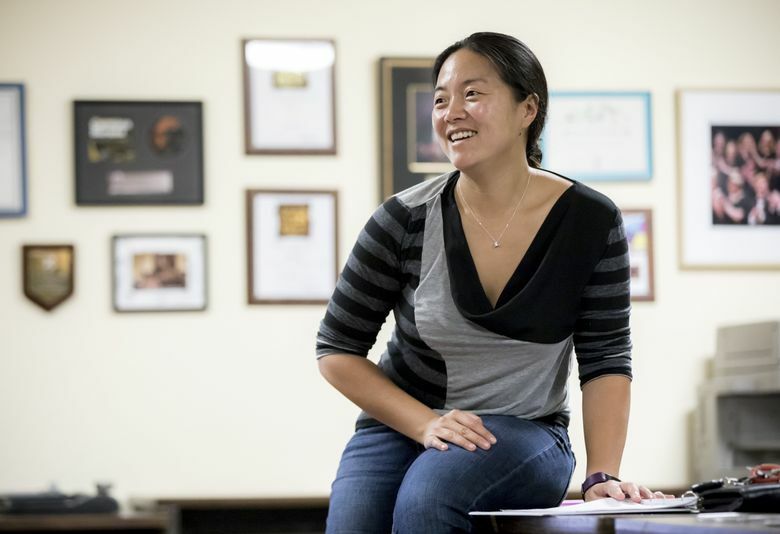 SIS co-executive producer Kathy Hsieh, who’s also performing in “Extreme Happiness,” gave Chiang one of her first directorial jobs out of grad school: Lauren Yee’s “Ching Chong Chinaman” at SIS. “[Yee’s play] is hilarious, but it’s hilarious in a very specific way,” Hsieh said. “If it’s done wrong, it could completely backfire. Hsieh, who also oversees racial-equity programs for the Seattle Office of Arts & Culture, sees Chiang as crucial to the slowly awakening awareness to such issues in a still predominantly white theater scene. She can count on two hands the number of Asian Americans who’ve ever directed a show even once during her career in Seattle, she says. 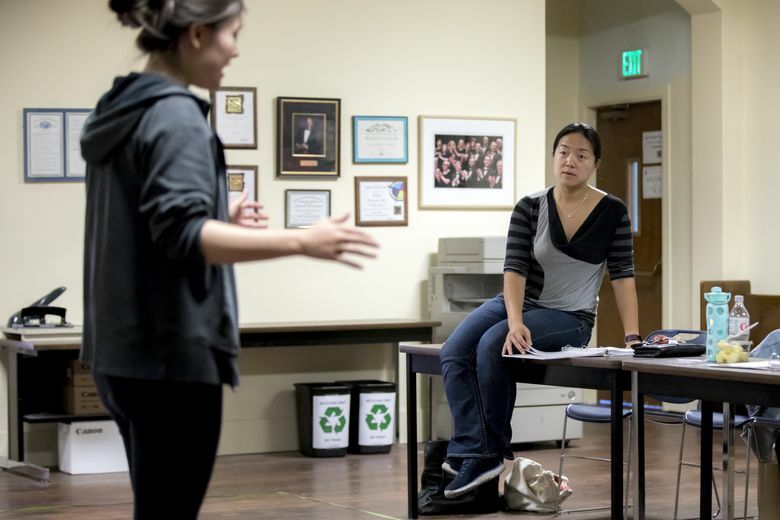 “A different way of looking at things” isn’t the mission statement for Azeotrope, the theater company Chiang co-founded with UW classmate Richard Nguyen Sloniker in 2010. But it could be. In 2015, Azeotrope produced Don Nguyen’s “Sound,” a play about parents wrestling with the notion of getting cochlear-implant surgery for their deaf daughter, told in parallel with the story of Alexander Graham Bell, whose anti-sign language stance makes him a deeply controversial figure in the deaf community. The play was performed bilingually, with both American Sign Language and spoken English, and projected supertitles to bridge the language gaps. Initially, the show was going to be solely directed by Chiang, but recognizing a weak spot, she brought on a deaf co-collaborator, Howie Seago, to codirect. Sloniker and Hsieh, who’ve both been directed by Chiang in multiple plays, say that attention to collaboration is key to her directorial style. “She really relies on actor impulses versus a director having a preconceived idea of what the play should look like,” Sloniker said. 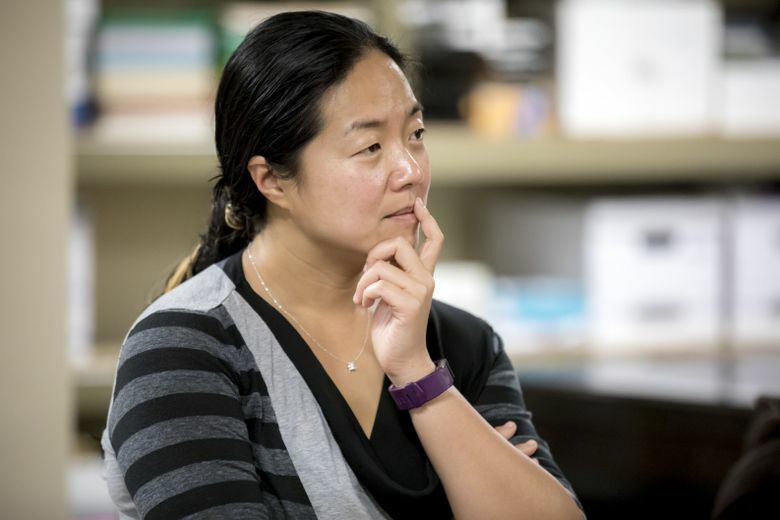 If it seems inevitable that Chiang’s career is destined to take that next leap that takes her beyond Seattle for good, she might say that’s just what the local community needs to prevent stagnation.